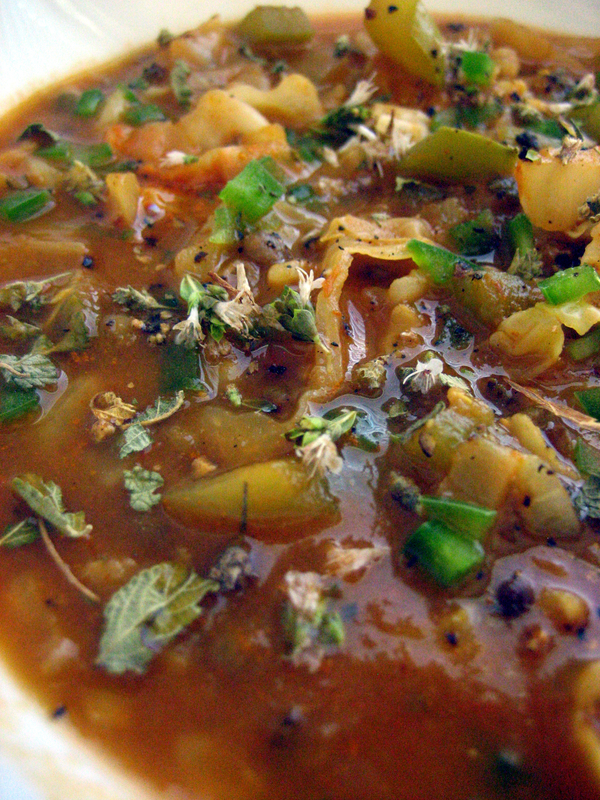 This soup will play with your tongue in an amazing way. The raw tahini [still rich in calcium because the seeds were unhulled] is an integral component that adds a luxuriant richness to the broth. It has become one of my favorite soups to make because of its compelling flavors, wonderful texture and, importantly, because it’s so easy to make. It literally takes 5 minutes to whip up this soup broth. I know that come summer, when we’re out hiking and biking all day long, this raw soup broth will be a lifesaver when it comes to time and a meal that we’ll look forward to often. This soup broth can be kept raw if unheated and enjoyed at room temperature or cold. Place the soaked almonds, kaffir lime leaves, lemongrass, ginger, red pepper flakes and garlic into a blender along with 4 cups of filtered water. Blend until smooth. Strain through a nut milk bag or fine cheesecloth into a pot large enough to accommodate the soup. Whisk in the raw tahini, miso and nama shoyu until homogenous. Into a pot of simmering water add the diced carrots. Set the timer for 2 minutes. 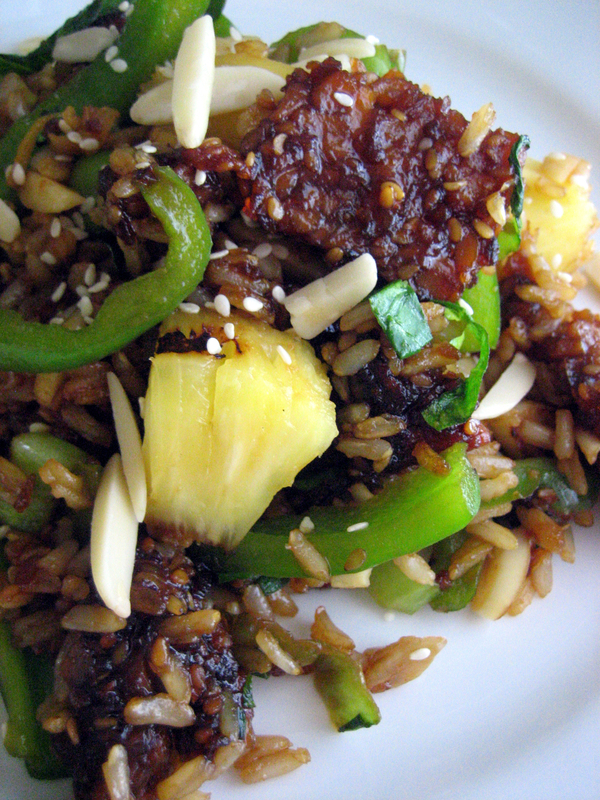 At the one minute mark, add in the diced zucchini. Drain and place into a bowl of ice water to quench the cooking. You want the vegetables to maintain their crispness and not continue to cook. 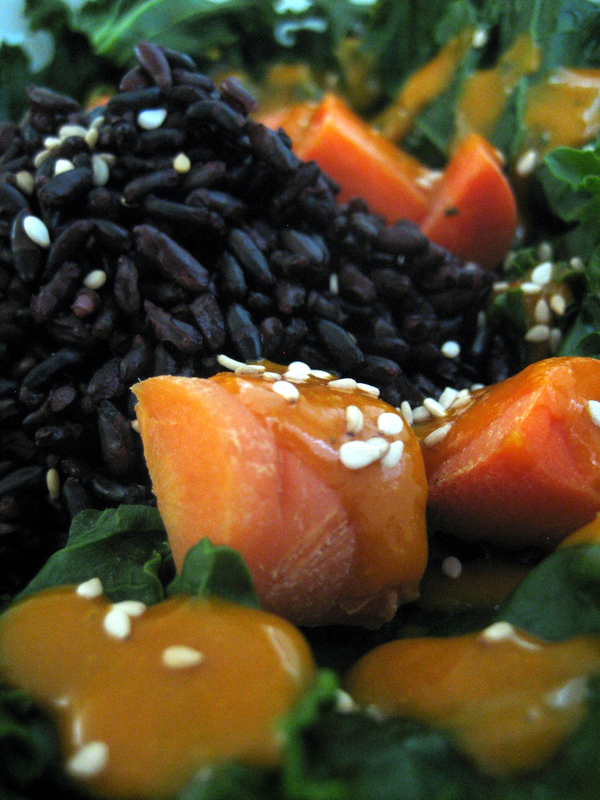 Into each of two bowls, place ½ cup of spinach leaves, ½ of the diced red bell pepper and ½ of the blanched vegetables. Pour half of the soup [warmed on the stove top or room temperature to maintain the raw state] over the vegetables and serve immediately. As an optional ingredient, you can add in some sprouted wild rice for a nice textural contrast while still keeping it raw. 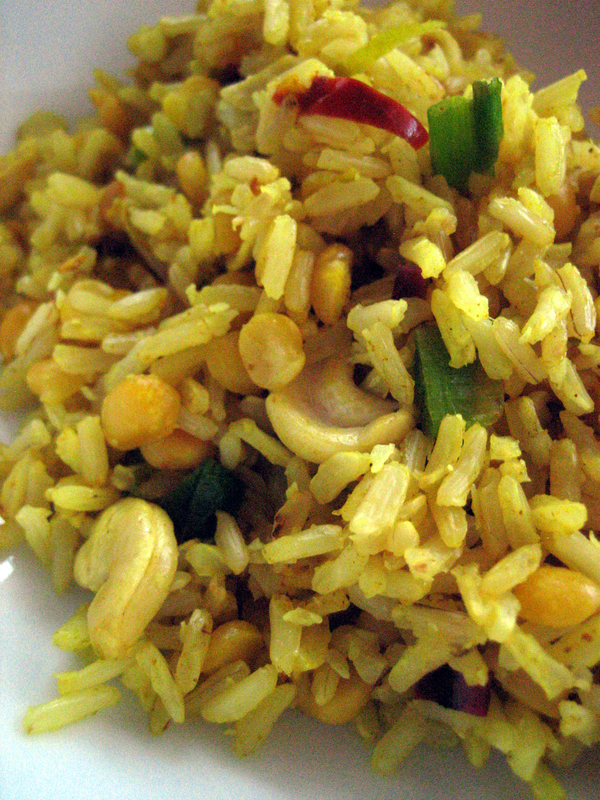 This is a fabulous way to use leftover rice and lentils. 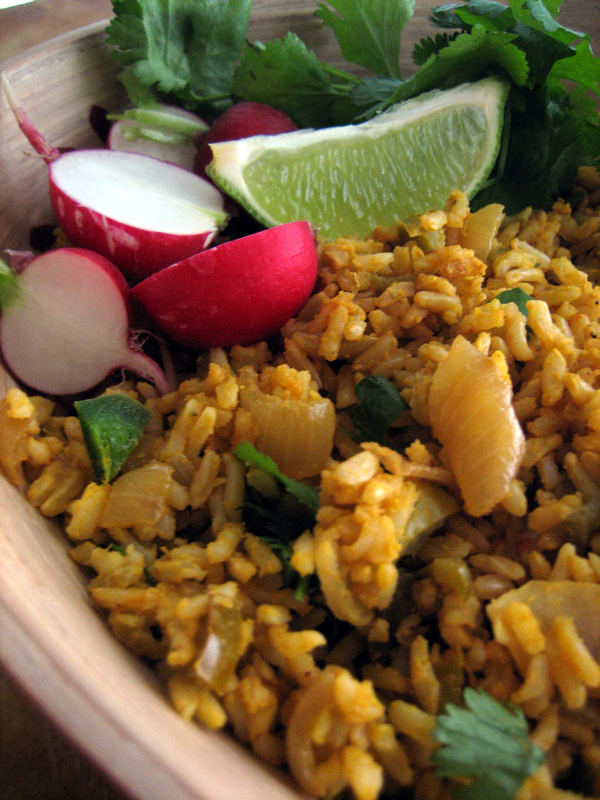 I don’t know about you, but we often have leftover cooked lentils and brown rice on hand because they are so versatile. I also tend to keep cabbage in the crisper because I love adding it to salads for a sweet crunch. 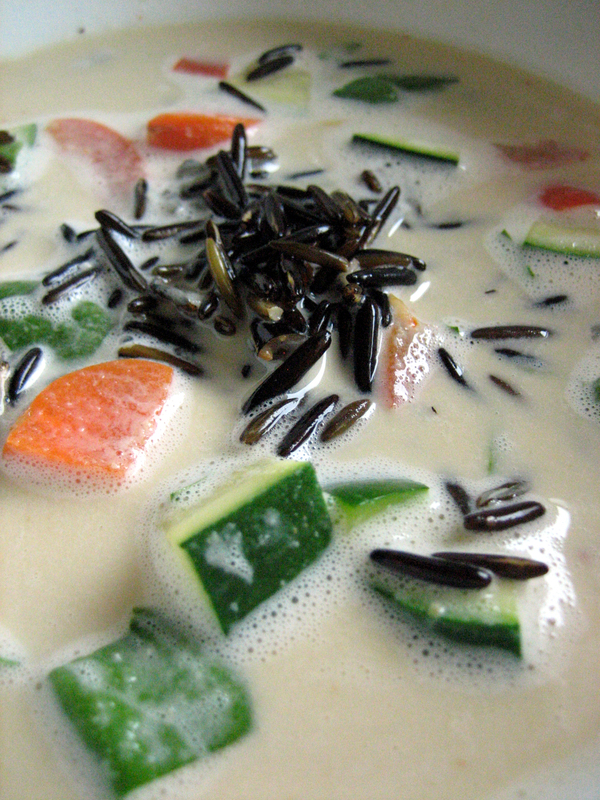 This soup will thicken overnight as the rice absorbs the broth and become more stew-like. You can then ladle it over baked potatoes or a plateful of steamed greens for another more hearty meal. It also freezes very well. While the tomatoes are roasting, add a drizzle of olive oil to a pan over medium heat and sauté the onions, garlic, bell pepper and cabbage until softened. Add the tomato paste and oregano. Cook for a few minutes longer. Add in the rice and lentils and mix well. Set aside until the tomatoes are ready. Add the tomato puree and vegetable broth to the pot and bring to a simmer. Let cook for about 15 minutes and then season with salt and pepper. Garnish with dried or fresh oregano [mine happened to be flowering, so I used those as well] and finely diced green bell pepper. Lightly brush or spray the sliced squash and pepper with olive oil and grill in a grill pan. Place the green leafies in a bowl and toss with a bit of olive oil, lemon juice. Season with salt and pepper. Mix the rice and lentils together in equal proportion. 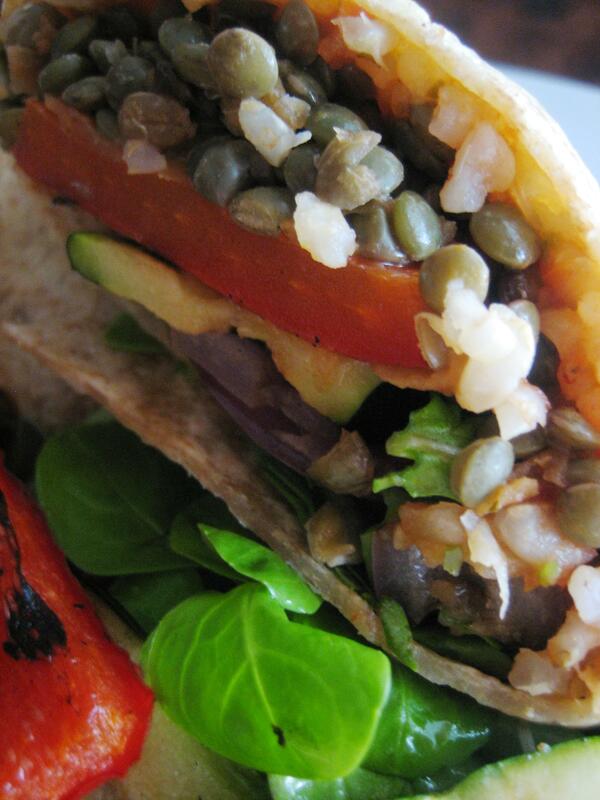 Place a few spoonfuls upon a warmed whole wheat tortilla. 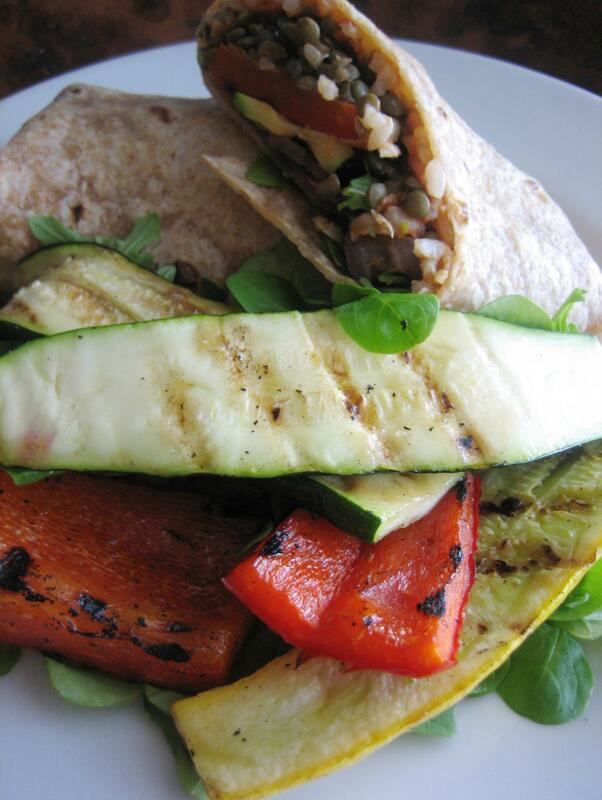 Top with the grilled vegetables and some of the seasoned green leafies. Wrap up and eat!